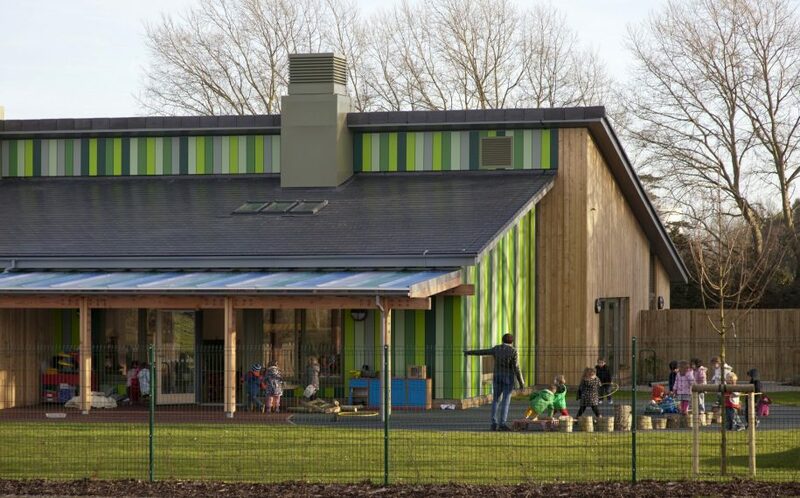 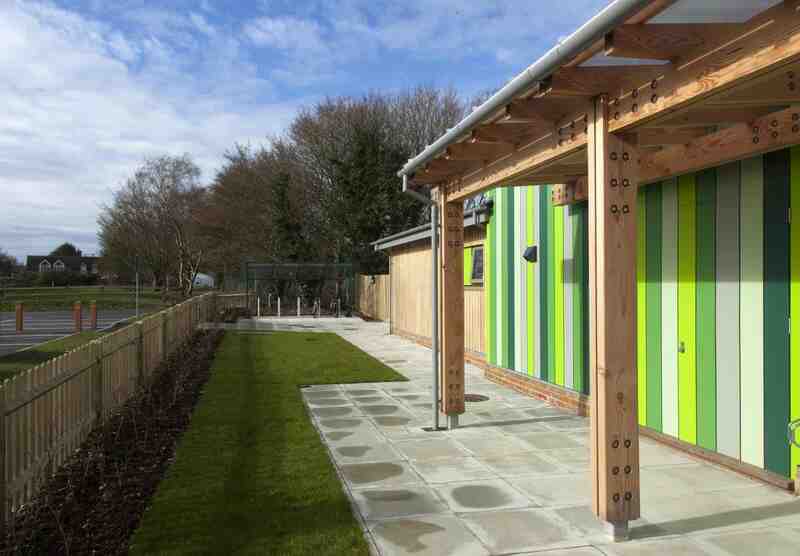 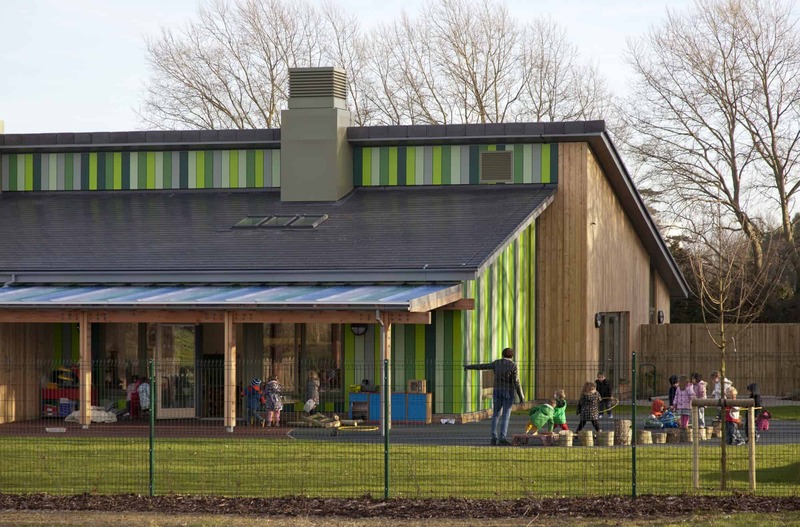 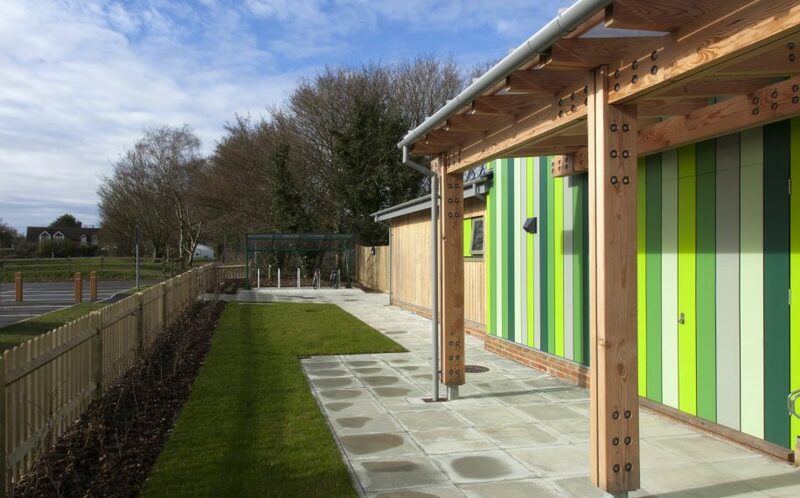 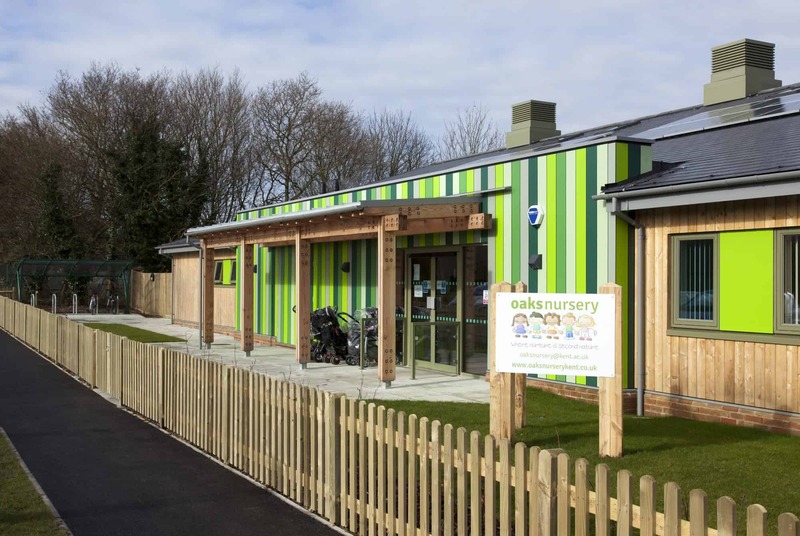 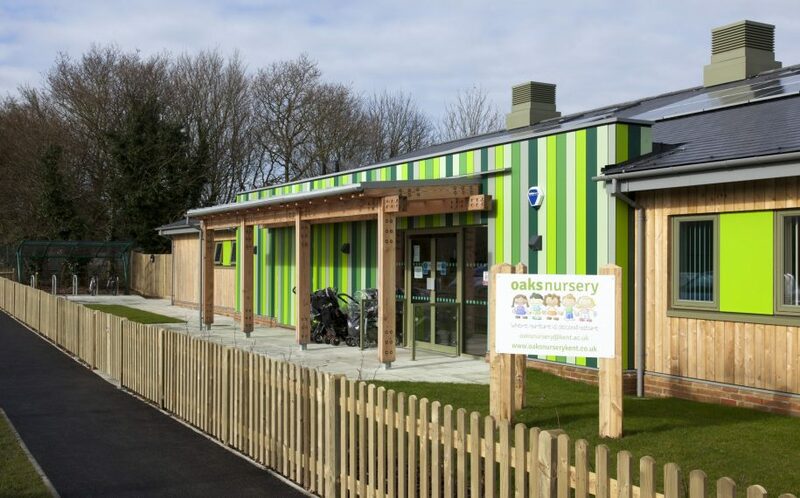 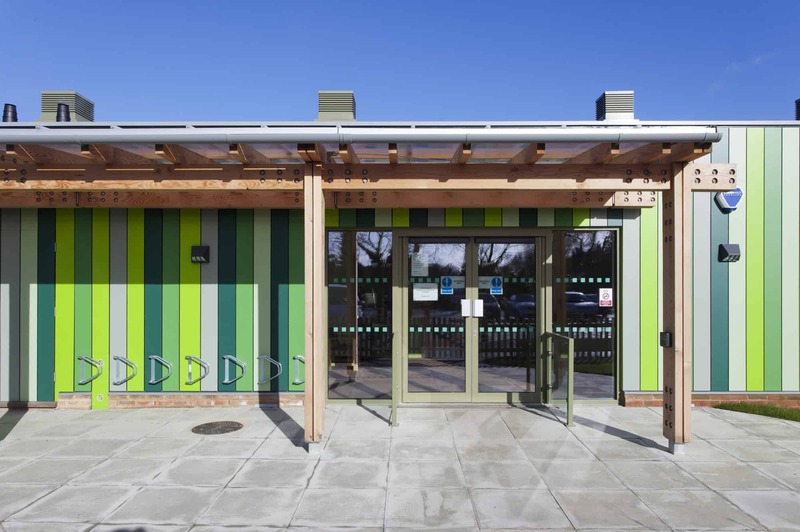 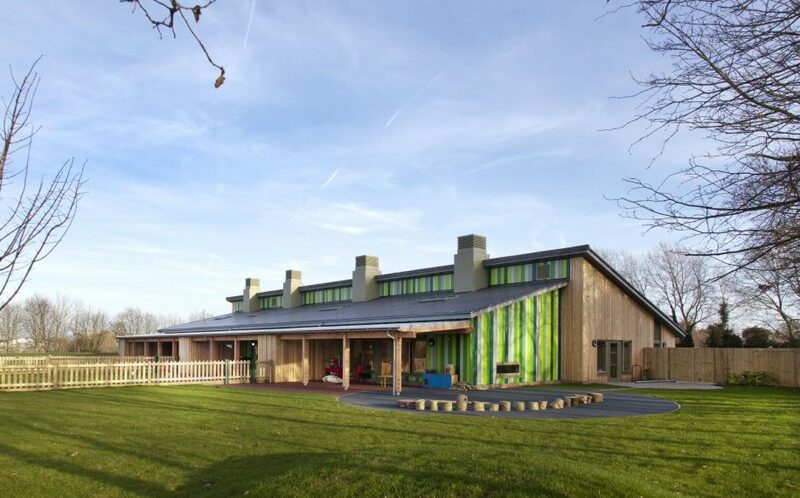 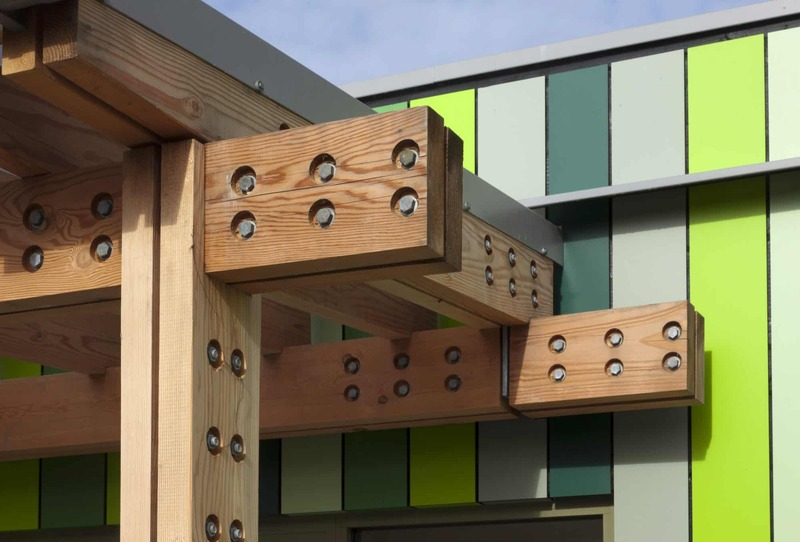 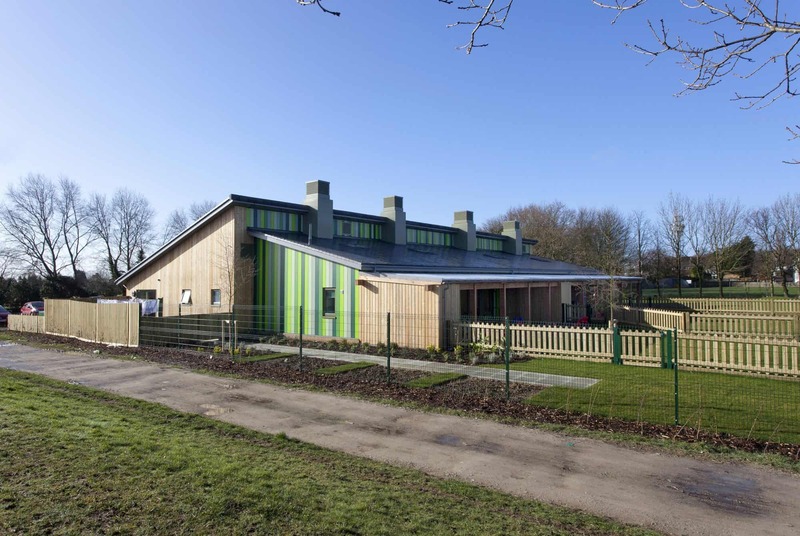 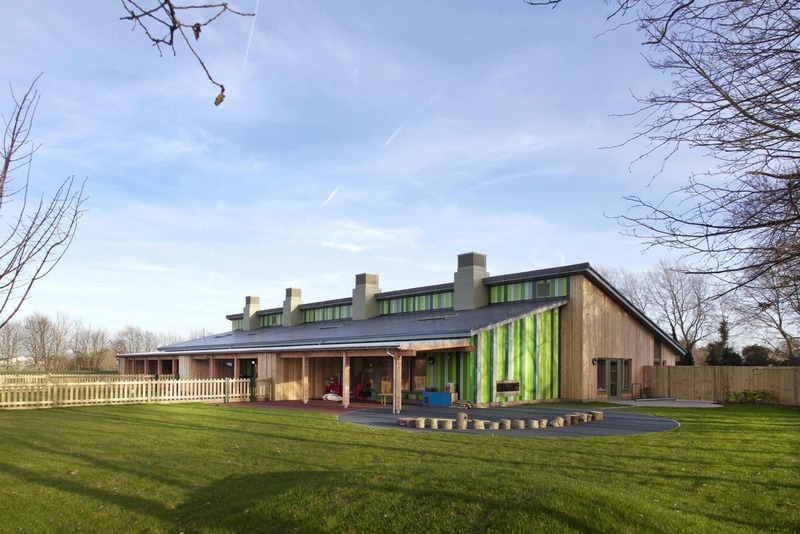 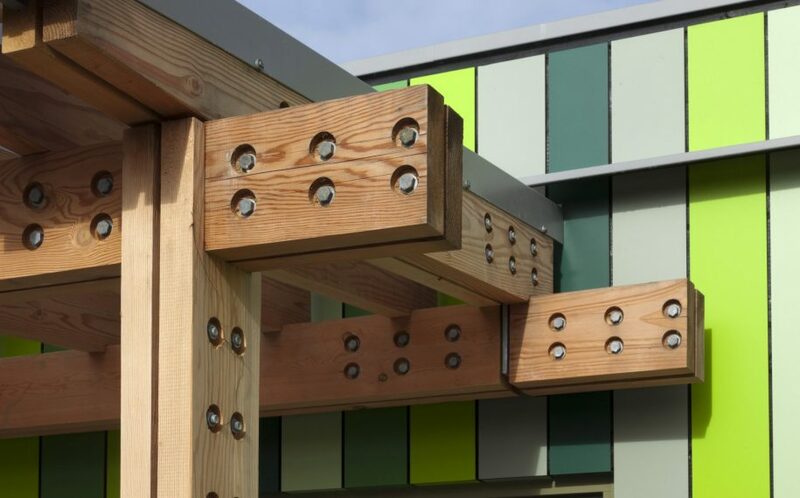 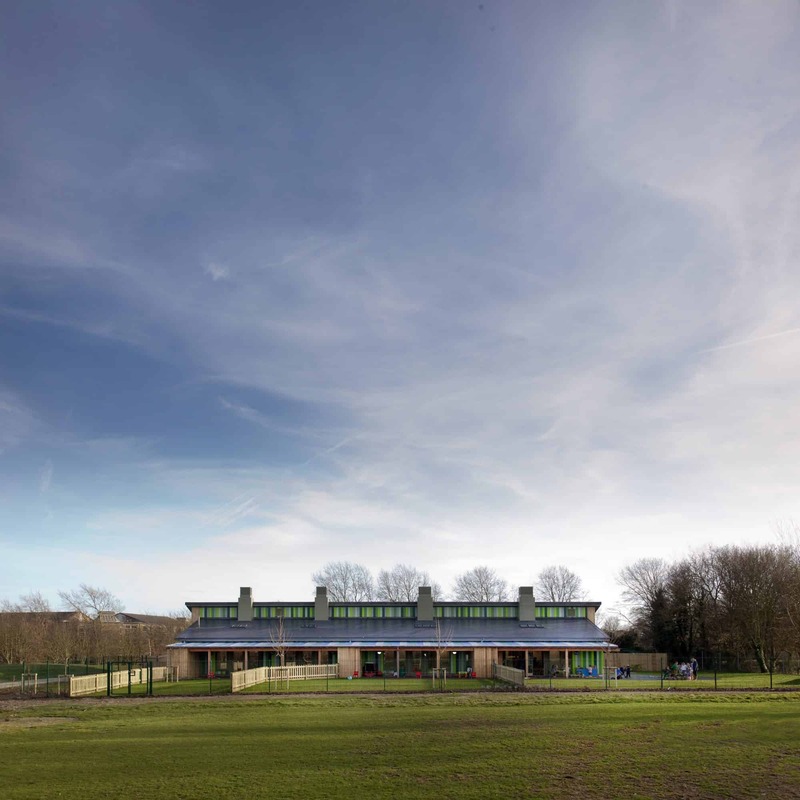 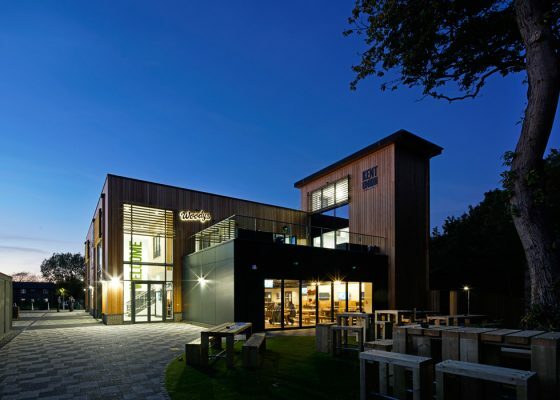 Offering day nursery facilities for staff and students, the University of Kent sought to provide a larger nursery building to replace existing over-subscribed facilities housed in temporary buildings. 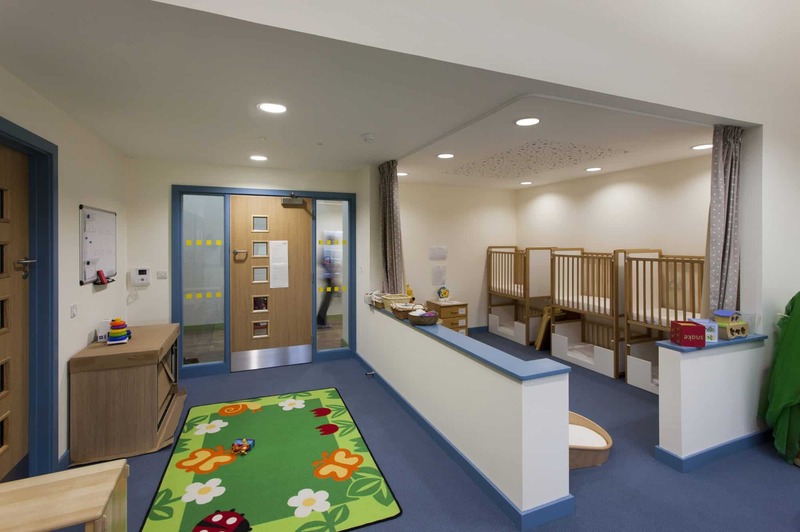 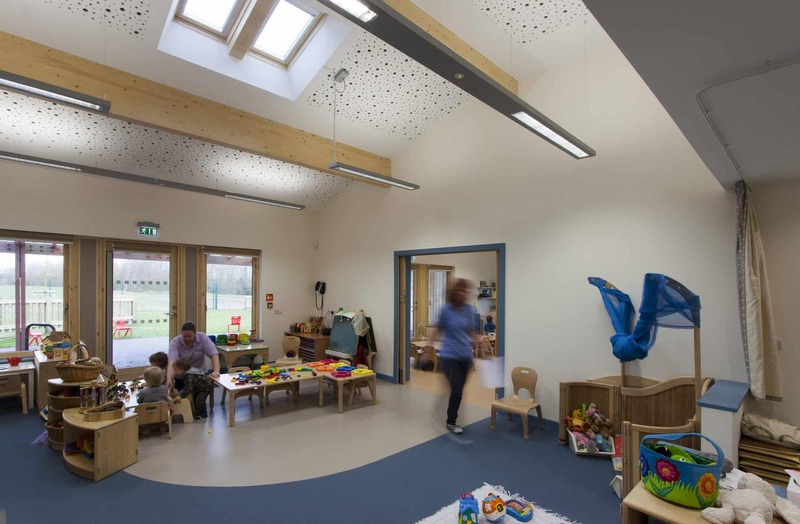 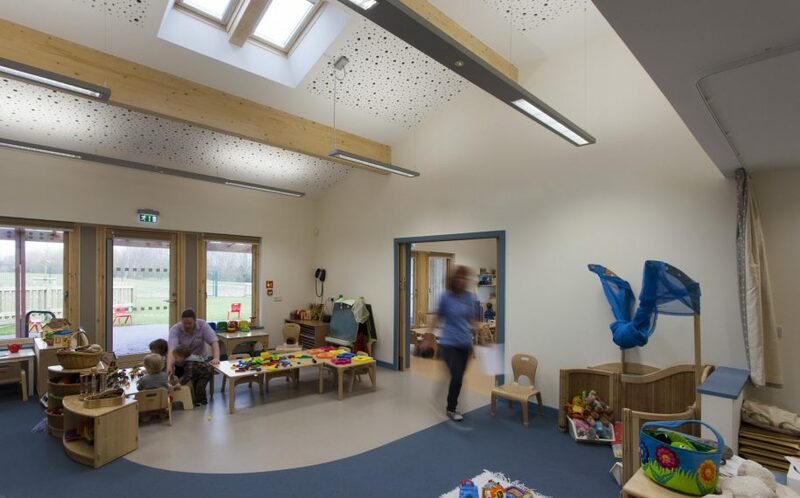 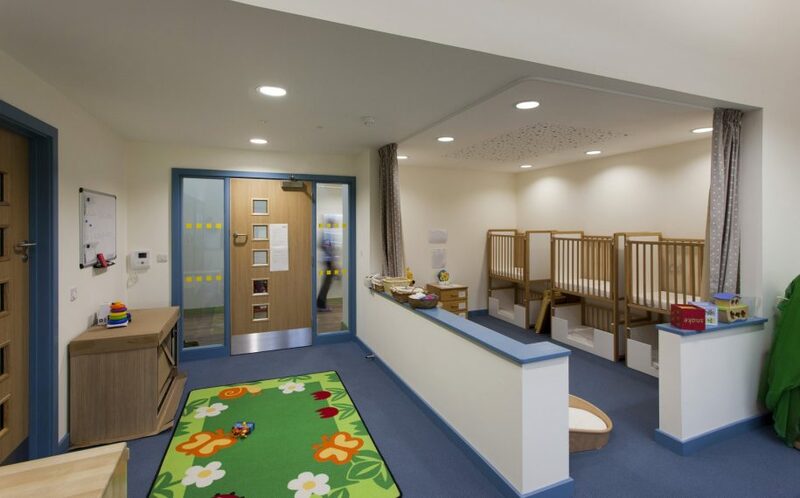 The new nursery provides 90 spaces, comprising of four separate age-related nursery rooms with their own cloakrooms, WCs, sleep and kitchen areas and access to outdoor covered play areas. 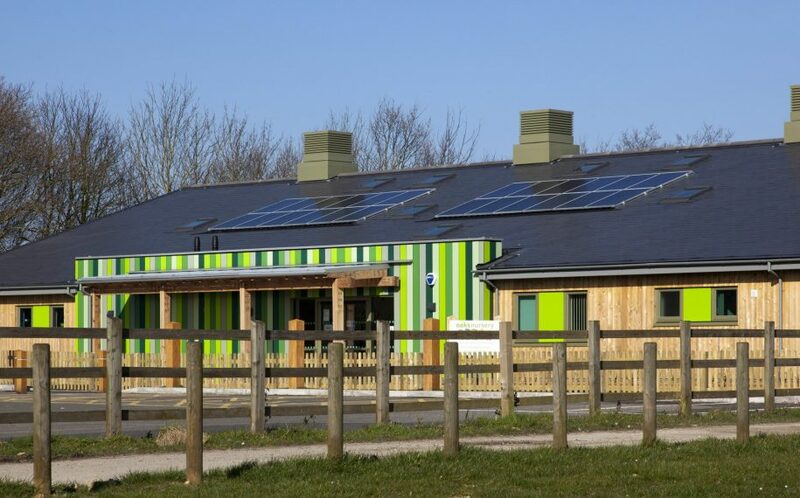 The single storey solution was constructed using structurally insulated panels (SIPS) and was in the majority fabricated off site to fast-track the build process. 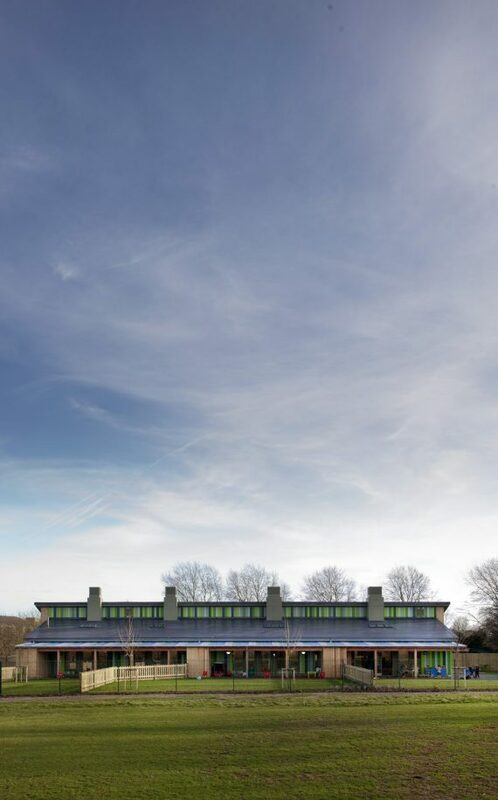 Naturally ventilated, the building takes advantage of its asymmetric form via four passive stack chimneys. 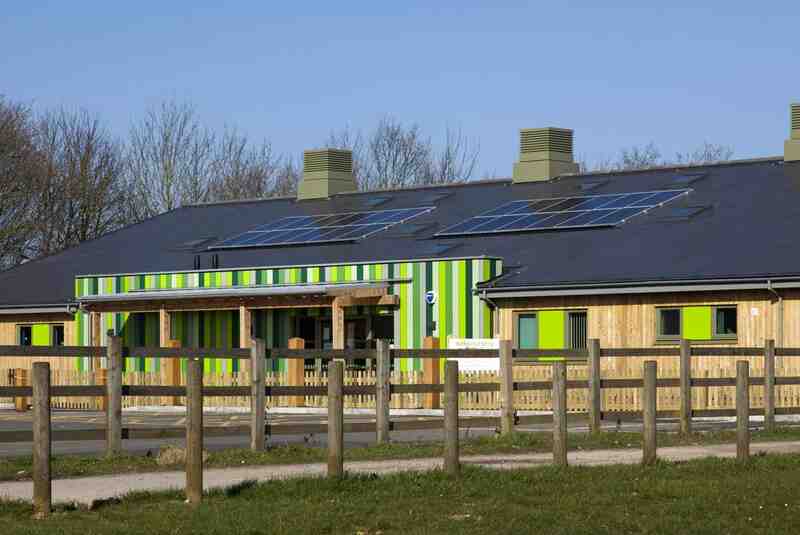 Solar panels are installed to the south facing façade to offset electricity costs.